from hospital one plus hour. drv. in ambulance……. 22 lbs of liquid removed. unreal……..ten.doctors n nurses. watching. draining most never saw. will not. lv. bed. till tom. and trying. to. work out. which thing. to. eat……….. 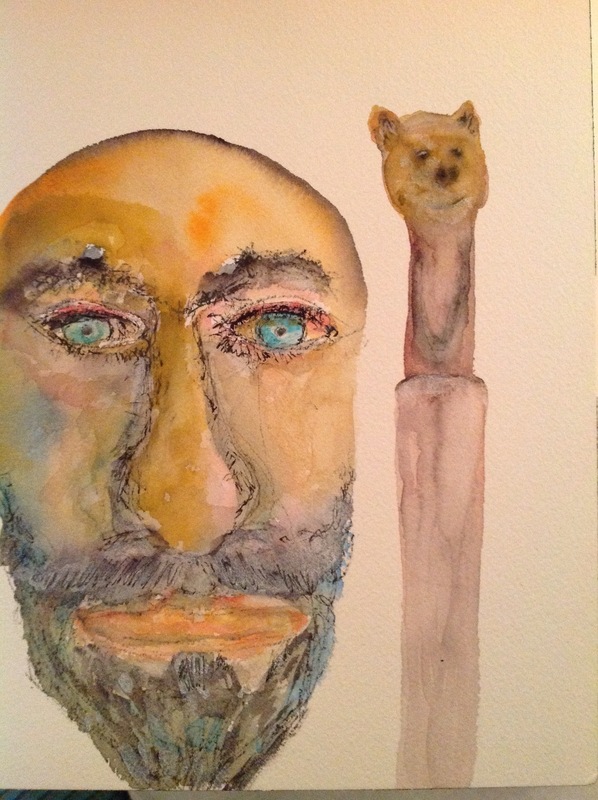 This entry was posted in Uncategorized and tagged art, ascites, Going to Goa Blog, Scott Morgan, self portrait, Watercolor painting. Bookmark the permalink. 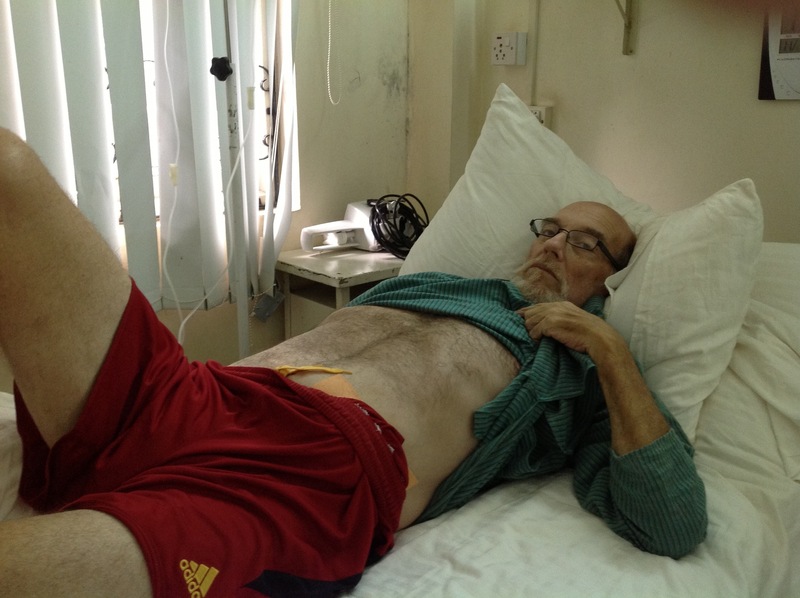 Hey Scott…..just another battle wound, keep fighting the fight. Get some rest for that big day tomorrow. Thinking of you from Orygun. With that trim tummy, you might be ready for a speedo! Cheers! !